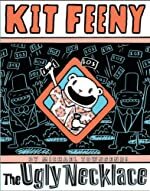 Review: Kit Feeny: The Ugly Necklace, the second comic book in the series, is written by Michael Townsend. The main characters of the story are Kit, his two friends Hoff and Devon, and of course his family, Mr. and Mrs. Feeny, and his two bizarre sisters, April and Bonnie Feeny. Talking about his family, it is Mrs. Feeny’s birthday and Kit is determined to win the contest of “who gets their mother the better gift”. He also wants to get her something way, way better than his sisters, something completely “stupid awesome!” Would she like a cool silver metal detector? Where might he buy a baby dragon, or maybe a spiffy pair of hip purple hi-tops? What if he loses to his sisters, then what will happen? He knows what will happen, but just doesn’t want to think about it. Does he beat his sisters, or does he lose? Read the rest of the comic book to find out what happens to him, his two sisters and also his mother. 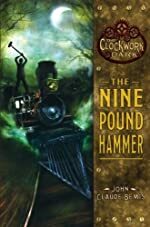 This book has lot of interesting and bold undertakings and the one I love most is the idea of Kit and Hoff pretending to be treasure hunters and giving that treasure to someone to get the ultimate present. I also like when Hoff and Devon are being chased by Mr. Garthe, who sells ice cream at the park. My most favorite part though, was when Kit and Hoff made the plan for getting the best gift ever for Kit’s mom. It was hard to read the part when their plan for getting a best gift ever didn’t work. Kit must have felt like he was a total loser. Anyway, if I graded this book on a scale of 1 to 10, 1 being the worst, and 10 being the best, I would grade it a 9. I look forward to reading the next book after this in the series. It will be interesting to see what stupid and awesome adventure Kit goes through next. I can just feel it, I can feel that there is going to be a next book and that it is going to be dynamite and daring! Review written by Karan (6th grade student). We would like to thank Random House for providing a copy of KIT FEENY: The Ugly Necklace for this review. Have you read KIT FEENY: The Ugly Necklace? How would you rate it? 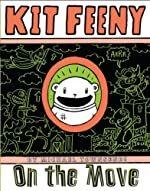 Review: Kit Feeny: On the Move is the first comic book in the series and it is written by Michael Townsend; it is a humorous and entertaining, comic book. The main characters in this book is, Kit Feeny a normal boy, his two crazy sisters April and Bonnie Feeny and his parents, Mr. and Mrs. Feeny and last but not the least, Kit’s best friend, Arnold. Kit Fenny is a boy who is moving, and isn’t very happy about it. He tries to smuggle his best friend, Arnold along with his family. Obviously it doesn’t work and Arnold is sent back to his own family and house. Now Kit doesn’t know what to do and has to make new friends and has to go to a new school. What will Kit Feeny do and how will he survive without his best friend? Read the rest of the comic book to find out what happens. I loved the vivid and bold colors on each box of the comic book. I also liked the thrilling cover with all these different illustrations on it, looks like Michael made Kit a “stupid awesome” artist (stupid awesome is Kit’s favorite quote). My favorite part is when Kit is reading the comic that Arnold and he made together, “The Great Gummy Fish Disaster: A True Story”, it is very hilarious and amusing. My least favorite part or the saddest part was when Devon, the bully in his new school is making Kit look like a fool and making bad jokes about him on his first bus ride to his new school. I thought that it was very vile. I look forward to reading Kit Feeny: The Ugly Necklace, the second book in the series. People have told me that it is totally “stupid awesome, and I can’t wait to read yet another of Kit’s fully action and energy packed story! We would like to thank Random House for providing a copy of KIT FEENY: On the Move for this review. Have you read KIT FEENY: On the Move? How would you rate it? Review: Passion, love, and music, Esther Friesner the author of Sphinx’s Princess did an impressive job writing this book. She really brought out the characters and the events. In Sphinx’s Princess, Nefertiti is a princess in Egypt with passion for dancing and writing. Nefertiti was born, and her mother died during labor. Every night for four years Nefertiti has these horrible nightmares about a sphinx, a sphinx is a god of Egypt with a lion’s body. Nefertiti and her father went to a festival one day and there she saw a group of beautiful young women dancing to praise their god, and she loved it! That month, Nefertiti’s father married one of their maids. Together, they had a child named Mutnodjmet, but they called her Bit-Bit. When Nefertiti was five years old, her father’s friend, Henenu was teaching her to become a scribe. Nobody else knew about the lessons and when her father found out about them he was furious because her mother was also a scribe. Nefertiti’s aunt, the queen had taken advantage of Nefertiti’s mother and her power. Nefertiti’s father didn’t want it to happen to Nefertiti. Nefertiti loved to sing and dance for the sphinx almost as much as she loved to write. How will Nefertiti become Sphinx’s princess? I personally loved this book; it is full of passion and love. Nefertiti loves to dance and sing but she also appreciates writing. Not many girls back then were scribes. She really tried her hardest to learn all the symbols of their writing. If your hobby is to sing and dance this is the book for you. It really made me feel like I was in Egypt with Nefertiti because it gave great details. For instance, the book said “running across the red land where nothing grew but stones and bones.” Plus, Nefertiti is always following her heart and that can be very inspiring. I would give this book a four and a half star rating out of five. I lowered the rating only because the vocabulary is really hard to understand. For example, it uses a word like Amenhotep’s and if you don’t have a background about Egypt you might not understand what that means. Due to the vocabulary; I would say this book is for kids eleven years and up. Esther is well known for writing thirty other novels and one hundred fifty short stories. A few of the novels she wrote are My Big Fat Supernatural Wedding, Nobody’s Princess, and Nobody’s Prize. One of her short stories is Thunderbolt. She did a great job of making me want to read more of her stories. Sphinx’s Princess is one of the best novels I’ve read in a long time. 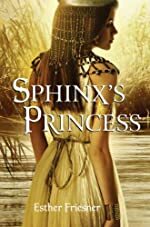 We would like to thank Random House for providing a copy of Sphinx's Princess for this review. Have you read Sphinx's Princess? How would you rate it? Review: Have you ever dreamed of having powers? The book Voices in the Dark (By Catherine Banner), the second book in The Last Descendants Trilogy, deals with magic and many more surprises. In Voices in the Dark, the main character Anselm, a boy who is obedient and kind, is trying to find out things about his real father, when he didn’t even know his father’s name! But when Anselm discovers the truth, it takes him on a rollercoaster of danger that he didn’t see coming. Once, a long time ago, a boy of 16, Anselm, was riding in an old carriage to find his family. During that ride Anselm meets a mysterious old man named Mr. Hardy and starts telling him the story of his life before he had met him. 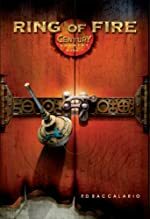 He had been living in his hometown of Malonia, a small kingdom north of England, with his mother Maria, whom had given birth to him at age 15, his step-father Leo, whom owns a second-hand shop, his 6 year old little sister Jasmine, who's got magical abilities, and his best friend next door, Michael. Suddenly, the city’s only known magic teacher, Aldebaran (who had been training Jasmine) is shot and killed. Michael flees the country because Alcyria is invading in the north. Unfortunately, Leo’s past has caught up with him, and he also gets drafted into war. During this time the family doesn’t have enough income to pay their rent, and Maria just happens to be pregnant. Will Anselm be able to find clues linked to his real father? Will the baby be born safely? Will the war ever end? Voices in the Dark is an action packed book with war, magic, and a family coming together when times get tough. When Alcyria invaded, I couldn’t put the book down! This book was fantastic! If there was a 5-star rating, I’d give it 5 stars! I could tell that the author took a lot of time composing Voices in the Dark, and with great effort. 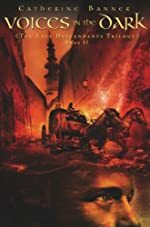 Voices in the Dark seems to be carefully written with an incredible amount of detail; “I walked quickly until I was lost among the ancient tombs, and stopped. I stood there watching the dark beyond the far gate. Alcyria was over those mountains, the army’s machine guns trained on all passes, their armored vehicles rolling slowly across our soil.” I felt as though I were living in the story. This book is appropriate for ages 11-14 (because of some minor cursing) boys & girls who really love a great mystery. I can’t wait to get my hands on the first and third book in the series, and I’m sure you won’t be able to either! Review written by Lynnea (6th grade student). We would like to thank Random House for providing a copy of Voices in the Dark for this review. Have you read Voices in the Dark? How would you rate it? Review: Fashion, fun, and friends. If you love all these things, then Catwalk: Strike a Pose is the book for you! This is the second book in a sort of series by Deborah Gregory. The first book is called Catwalk. Pashmina Purrstein and her best buds go to a school for the fun and the fashionable. Pashmina and her BFFS Aphro, Felinez, and Angora go to Fashion International, a high ranking high school for learning….about clothes?! Pashmina has hazel eyes, a pushed-in nose, and golden-auburn hair (she looks like her cat, Fabbie Tabby!). There is a huge competition called Catwalk that the school holds every year where competitors try to get nominated for their own “House of _______”. The five Houses, or the ‘fabbie five’, are Pash, Willi Ninja Jr., Anna Rex, Moet Major(After Chandelier Spinelli was disqualified), and Shalimar Jackson. This year, if the House of Pashmina wins the competition, they get an awesome trip to Firenze, Italy to shop and meet some great designers! Also, the winning team will star on a TV show. Pash is super excited and wants to get the most votes at the Catwalk competition for her purrfect designs, and also wants to beat Shalimar, her enemy at Fashion International. But wait… a twist? In Catwalk, Pashmina’s super cool teacher, Miss Lynx announces that there will be a film crew filming their every move… including meetings for the Houses, and arguments. Will Pashmina keep her cattitude? Or will she lose it in front of the camera, and her friends? In a subplot, Pash and Aphro try to get jobs. Aphro tells Laretha Jones, the African American owner of a new boutique in town that if she succeeds in the Catwalk competition, she will open a store called Aphro Puffs. Pashmina trys to take back the spotlight by telling Laretha that she will open a store called Purr Unlimited, as in unlimited sizes. But when Laretha immediately takes to Aphro and hires her, Pashmina is left in the dust as she trys to regain her dignity. Also, a member of her House, Nole Canoli, is getting on her nerves. Can she stay mellow or will she be embarrassed by her act? It’s up to Pashmina now to save her House’s chance of winning the Catwalk competition and winning a trip to Italy. This book had some great fashion fun! I loved the way the author used catchy cat-related phrases like cattitude, purrfect, and meowch! Since I have cats, I really liked how she did that. Also, I liked how this book had some really great friends and how the author intertwined their lives very closely. If I could give this book any number out of 5 stars, I would totally give it 4. I definitely liked Pashmina’s personality! I thought she had some major attitude, but the good kind. Also, I liked the many people in the book, and they had some pretty interesting names such as Shalimar, Bobby Beat (House of Pashmina’s awesome makeup artist), Ice Tres, and Chandelier! I also loved how the author managed to keep you in suspense, even though usually book about fashion don’t use suspense. When I went to sleep every night, I couldn’t stop thinking ‘Is Pashmina going to win the competition? Will she go to Firenze?’ However, I was disappointed in how the author wrote the ending. There was merely a conglomeration of various blogs in her book, written by different people. Nonetheless, the exciting scenes when something big happens and the author makes you feel like you were there, but the author merely put it in a blog instead of making you a part of the action. All in all, I would definitely give this book 4 out of 5 stars. Make Catwal k a must read on your booklist! Deborah Gregory has written a few books, including the Catwalk books and the 4 Cheetah Girls volumes. She earned an AAS from the Fashion Institute of Technology. We would like to thank Random House for providing a copy of Catwalk: Strike a Pose for this review. Have you read Catwalk: Strike a Pose? How would you rate it? Review: Action, drama, jokes, wonders, & happiness! 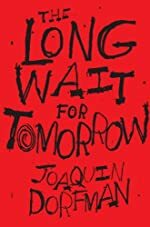 A Long Wait for Tomorrow , by Joaquin Dorfman is filled with emotion, realistic problems that need to be solved, & three young teenagers just trying to figure out life. Patrick is the designated driver, the eagle taking children under his wing and trying to fly them in a new direction, & the one who is in love with his best friend’s girlfriend, Jenna. Jenna is the head cheerleader who parties hard, lives life, and has fun! Kelly McDermott, Jenna’s boyfriend is the quarterback for his school, and the bully trying hard to become a better person. Kelly McDermott, Jenna, and Patrick had just gotten accepted into Ohio State University. So that night they go out to celebrate, and Kelly has a little too much to drink. He wakes up the next morning hung over thinking that he is living 20 years in the past, but doesn’t know how to prove it! So he decides to go to Eddy who is nice and educated, but who is also the victim of most of the fights and asks for his help. Edmund (Eddy) has to think hard about helping Kelly, considering the fact that all Kelly does is beat him up, but he decides to help him anyway. Eddy tells Kelly that he believes Kelly’s mind is traveling through time, not him. Prom night arrives, supposedly the best night of kids’ lives, but not for one of them who must face guns, bullying, and verbal abuse. Someone’s life is ending, but whose? I like how the book really makes you feel alive, a part of the characters’ lives. Also the book is VERY specific. For instance, a fight is going on, and Joaquin Dorfman is describing how it feels, and looks to be there. “Close body blows, arms a tangle as they continued to shoot through there clenched teeth.” With the detail, and action used in the sentence I feel like I am standing there witnessing the fight! I also like how the book can be brought to real life - there’s drama, fights, proms, relationships, and parties. But there are some cons, the language in the book is not quite appropriate for my age (a sixth grader). Also the underage drinking and the action is not appropriate, because not all kids may be able to understand what is going on. But over all, this book was the best book I’ve ever read. I hope Joaquin Dorfman will soon be writing another fantastic book! We would like to thank Random House for providing a copy of The Long Wait for Tomorrow for this review. Have you read The Long Wait for Tomorrow? How would you rate it? Review: Do you like books about teen drama? Books where teens go a little over–board? 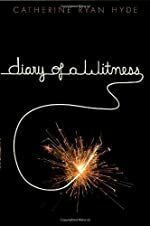 Then Diary of a Witness is the book for you. In this book, teens Ernie and his best and only friend Will Manson are tortured by the school bullies, until one day it just gets out of control. Catherine Ryan Hyde, author some other young adults books such as Becoming Chloe, Miraculous Reappearance, and The Day I Killed James, brings teen life to the extreme in this wonderful new book. This is a standalone book. This book is Ernie’s diary (or journal) and in it he has kept the most important parts of his teen life in it. Will Manson, his one and only best friend, and he have to deal with the worst bullies in the world…or so they think. One day Ernie and Will decide to make sure that Ernie, who suffers from obesity, won’t be tortured in the locker rooms by these bullies. Here’s Will’s idea; tell the Coach that Ernie is gay. Coach doesn’t buy it one bit. He makes a deal with Ernie. “Look, I’ll make you a deal. See that shower, that shower is your shower for the rest of the year. And this is your dressing room. Here’s what you have to do for me though. See that scale? When you get out of the shower, I want you to stand in front of the mirror and look at yourself. And then get on the scale.” This prompts him going to go on a diet, and his mom, who cooks the fattiest foods imaginable, doesn’t know. Awhile later, Will and he go on a fishing trip, and Will’s little brother, Sam, drowns. Will blames himself for everything causing Will to go through a depression where he tries to commit suicide. When Ernie saves Will, Will won’t speak unless spoken to; and later on his way home from school, Ernie gets caught by the bullies, and gets a rusty old fishhook stuck in the back of his head and then pulls it out himself! Afterward, Ernie and his Uncle Max take Will up to his cabin in Lemoore, California, to try and find a way to cheer him up. But can they? The book is really good and time periods in the book are spaced nicely. Eddie is really an awesome character, and Mrs. Hyde is really an excellent author. If I could, I would give this 15 stars out of 5 stars. She has published many books for adults as well. So far I think this is the best book she’s written yet. She did a great job with Diary of a Witness really it was the best book I have read so far this year. I would recommend it mainly for middle school kids. And, I must say, that some adults might also like to read this. It is a fast paced book, but it does have some slow spots where not much goes on for a few pages. This book is very smooth when it comes to a reader and I would recommend this book for teens from 11-17 to read because of some language such as some uncommon swearing. Other than that I guarantee that almost anyone would like this book no matter what age or gender. We would like to thank Random House for providing a copy of Diary of a Witness for this review. Have you read Diary of a Witness? How would you rate it? Review: Heartbreaking, powerful, moving- these are all words that describe Road to Tater Hill by Edith M. Hemingway. In her first solo novel, Hemingway tells the story of Annie, a young girl whose baby sister (Mary Kate) dies the second day she is alive. Annie’s story is pulled from Edith’s own personal experience. Annie’s dad is away at war, but before he leaves he gives her a journal. He tells Annie to write about her summer with her baby sister, but when Mary Kate dies she doesn’t know how. Also her mom is spiraling into depression, and she doesn’t want her dad to have to read about that. When Annie finds a rock that feels like a baby, she calls it her rock baby, and puts it somewhere she can remember. When she secretly befriends Ms. Elizia, a woman who most people think is a murderer, an accident is the only thing that can expose their friendship. I found Road to Tater Hill to be one of the most gripping and moving books I have ever read. When I first started the book I found it to be amazing from the beginning. The hook in the beginning is very thought provoking, it says: “For months I had wished for a baby sister, a boy might’ve lived. Wasn’t wishing like praying? Maybe wishing really did make things worse.” I found it unique how she kept referring back to the hook thought the book, like when she said: “…here I go wishing again”. I also found it interesting how Hemingway put a poem in her book; she used the poem “Annabel Lee” by Edgar Allan Poe. One thing that I liked about this book is not only was it very well written, but it also made you think. It made me think about my baby brother, and how if something ever happened to him how our family would deal with it. Annie is a character that I found to be easy to relate to. She seems real, probably since Hemingway could relate to her also being that she was in Annie’s situation. Hemingway also does a terrific job on making a wise, sensible old lady of Ms. Elizia: she describes how Ms. Elizia has been through the same experience as Annie’s Mother, because when she had a child he died too. Overall, I thought Road to Tater Hill was tremendous, and it went up as one of my favorite books. I rate this book 5 out of 5 stars. Review written by Kayley (6th grade student). We would like to thank Random House for providing a copy of Road to Tater Hill for this review. 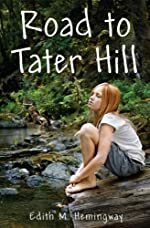 Have you read Road to Tater Hill? How would you rate it? Review: As if losing a promising ballet career to a freak leg injury isn't enough, Sylvie Davis - a 16-year old prodigy - is sent to stay with a cousin she's never met in a place she's never been in order to come to grips with her new life. Sylvie is used to an ever-changing world. She lives in Manhattan with her mother and new husband and travels around the world performing as the youngest principal dancer for the American ballet - that is until the tragic pas de deux that ends her career and thrusts her back into the life of a "normal" teenager. In the months that follow her accident, Sylvie struggles with her life - resorting to Vicaden and alcohol to soothe her pain. Finally, as her mother tries to start her new life with her new husband, they send Sylvie to Alabama to get in touch with her roots and find a way to start a new life. What she doesn't realize is that by going to Alabama she will not only encounter a completely different lifestyle than Manhattan, but that she will be greeted by charming young men who make her question her every feeling, a teen council that seems too good to be true, and a house full of ghosts who seem to be searching for something or someone. Sylvie begins to wonder if, along with losing everything that’s mattered to her, she is also losing her mind! Sylvie finds out rather quickly that her father kept an entire life a secret from her, and since he is no longer living it's too late to find out why. Plus, Sylvie swiftly realizes that being a Davis might be more than she's bargained for. 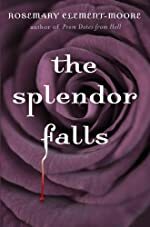 The heartache, mystery, and ghosts all unravel in Rosemary Clement-Moore's book entitled The Splendor Falls. Overall, The Splendor Falls is a wonderful book. Sylvie is an exceptional multi-dimensional character. She has the class of a prima ballerina, but the temper of a spoiled teen topped off with a wry sense of humor that is portrayed through countless quotes throughout the book. One example occurs when she meets some of the teens upon her arrival in Alabama. Her comment, "My keen powers of observation told me she didn't need another excuse not to like me. For some reason she was already acting like I had peed in her Cheerios," is but one of many classic "Sylvie-isms". The love triangle also keeps the reader enthralled. It's perfect for the teen reader! It's obvious that one, if not both of the "too perfect" love interests, is up to no good. However, it isn't until the very end of the book that the reader figures out everyone's intentions. The ghost aspect of the novel is very well done. Sylvie must learn about her family's past in order to understand the motives of the ghosts who at times are quite eerie. This is all very interesting in that she learns her history through journals, etc. kept by the family. Although some of the tie in between her family and another family seem somewhat farfetched, it never detracts from the story. Finally, The Splendor Falls is a lengthy book - 513 pages. In some cases, the author could have easily omitted several pages. The book would have been just as good, if not better, had 100 pages been shed from the final printing. All in all, however, The Splendor Falls is a commendable book which is highly recommended for teens who like mystery, romance, and the supernatural. We would like to thank Random House for providing a copy of The Splendor Falls for this review. Have you read The Splendor Falls? How would you rate it? Review: Have you ever dreamed about becoming an anthropologist or an explorer? Alan Armstrong twists history and fiction to create Looking for Marco Polo . When Mark Hearn’s father goes missing on a trip to track Marco Polo’s footprints in the Gobi Desert, Mark (a 12 year old boy who likes to be adventuress) becomes an explorer himself. Mark and his mom travel to Venice, Italy to contact the agency Mr. Hearn works for to try to find him, but on the trip Mark falls ill. Dr.Hornaday (a friend of Mr. Hearn in Venice) comes to take care of Mark in the hotel where he is staying. Dr.Hornaday brings Boss, a huge, black, magical dog who tells stories to Mark at night about his ancestors who traveled with Marco Polo. One story is when Marco and Boss’s great grandfather gets trapped in a sandstorm. Sometimes the rats in the hotel will help Boss tell the stories too! When Mrs. Hearn leaves to go to the agency, Dr.Hornaday and Mark go to the many vendors and shops to see if they could find a Christmas present for themselves. In Venice, and they also explore the wonders of Venice just like Mr. Hearn in the Gobi Desert. Honestly I can say nothing bad about this book. There were no inappropriate words, scenes or pictures throughout the book. The author did not use a lot of super long, hard words so kids my age and younger could read it and follow along with what is happening. I liked how the writer makes me feel like I am in Venice with Mark and in the stories Boss tells. 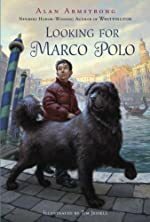 I also liked that I could learn about Venice and all of the people and cultures there as well as learn about Marco Polo’s life and adventures. I felt like I was in a history class sometimes with all of the information about Marco Polo. It was fun to think that I was at school in my social studies class while reading a book. It was great for my age level and everybody in the world should have a copy of Looking for Marco Polo . We would like to thank Random House for providing a copy of Looking for Marco Polo for this review. Have you read Looking for Marco Polo? How would you rate it? Review: Action, mystery, adventure, ghosts, and aliens what do these all have in common? A book! The book is entitled Rebel Stone and the Ghost Whisperers is written by Walter Rouzer. It is one of the best books I’ve ever read. It is not overly long like some books, and it is still packed with awesome action, mystery, and adventure in one book. The story is about two teenage super sleuths, Rebel and Becky , who take on ghosts and extraterrestrial beings. In the book there is a teenager named Rebel Stone. Rebel, is a three year experienced ghost hunter that likes to snoop around. He and his family just moved into the McGuire mansion in Shadowridge. They can stay there as long as nobody goes into the master suit. In the house is a black and white photograph that Rebel’s mom is making colorful with paint. Somehow the painting keeps changing on its own. Becky, who also lives in Shadowridge, sees Rebel’s flyer about his ghost hunting business and calls him because she is interested in what a ghost hunter does. Eventually, Rebel and Becky think they see alien activity all around Shadowridge in Becky’s aunt’s cornfield. These aliens invade the cornfield because their planet is being destroyed. But, is it really extraterrestrial activity? If it is, will Rebel and Becky defeat the aliens? Read the book to find out. This book is an adventure and a mystery. At first I wasn’t sure how the alien and ghost theme would fit together. The author did a good job at bringing both of these themes together by having the aliens behave similar to the ghosts. What I didn’t like about the book was how author did not describe what people looked like and did not go into much detail about the settings. When the settings were described, I felt like if I hadn’t been to similar places before, I would have not had a good idea about the surroundings. Nonetheless, I would recommend this book for anyone in fifth grade and older because it has semi difficult words in it. Also it has humor the younger age groups might not understand, like the food dictionary jokes. For example, Bellarouse says “What cut of mustard might that be?” The book is very fast moving but built up suspense at the appropriate time. I thought the story line was very fun to read and to think about. I really hope there will be a sequel coming soon that involves a scary farm that may have ghost activity. Out of a scale of 1-5 with 1 being worst and 5 being the best I would rate this book a 4 1/2. Review written by Kevin (6th grade student). 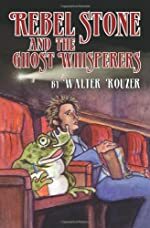 We would like to thank Walter Rouzer for providing a copy of Rebel Stone and the Ghost Whisperers for this review. Have you read Rebel Stone and the Ghost Whisperers? How would you rate it? Review: “Something is lurking in the forest,” and I’ll tell you one thing it’s not Little Red Riding Hood. This thing (whatever it is) is called the Pricker Boy as has been said to have been spotted by countless people not all of them are still alive though. Unlike an animal it doesn’t look away when looked at and is human like in structure, it is said to have been heard in the forest and giggles like a school boy. “He walks on all fours more like a spider”. He was tricked many years ago by children at his school which made him what he is today and seeks revenge. But what do you have to worry about… right? Reade Scott Whinnem has crafted a masterpiece in Pricker Boy. Buried in the forest with “skin as grey as dead tree bark covered head to toe in thorns”, just past Widow’s Stone lurks the Pricker Boy seeking revenge on the girls and boys who tricked him into believing that his trapper father had held his (his mother was dead but his friends TRICKED him into believing this) mother in a cage and fed her raw meat every night. But the question is… do you believe in him? Are you a Stucks Cumberland who is embarrassed when he is scared and acts like the leader of the pack, a Ronnie who is terrified at the thought of the Pricker boy and will do whatever it takes to get him off his trail? An Emily who is wise and tries to convince yourself and others that he doesn’t exist, a Vivek who jokes at just about anything? A Robin who is kindred, but terrified and is very emotional, a Cricket who is very quiet and doesn’t really know what is going on, or a Pete who is getting separated from his friends and is physically and mentally scarring them? The Pricker Boy is on their trail and is looking for them. The story of the Pricker Boy drew me in closer and closer with every word that I could hardly put the book down. I was truly concerned about the characters and felt like I was with them the whole way through the story. I felt it when Stucks was caught in the teeth of a trap. I heard the cries and screams of the school children and the three old ladies. And I could picture the Pricker Boy in my head and was awaiting his first move. This book was fantastic and if I had to rate it on and one to ten scale I would rate it a ten. People should read this book because of the terrific detail and the image that forms in your head while reading. I’m anxiously waiting and hoping for another book, following Stucks, Cricket, Emily, Ronnie, Vivek, Robin, Pete, and the Pricker boy even further into this manipulative tale. 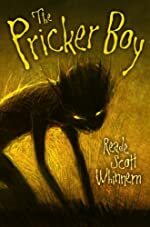 Due to this book’s language and frightening story itself, I would recommend the Pricker Boy by Reade Scott Whinnern to middle school students and up; though I would not say no if a younger student would like to take on the challenge of Pricker Boy. Review written by Gabrielle (6th grade student). We would like to thank Random House for providing a copy of The Pricker Boy for this review. Have you read The Pricker Boy? How would you rate it? Review: “I want The Ring of Fire” Mahler whispers. A long silence. The sound of dripping water. Rome echoing out in the distance. “I don’t know what you’re talking about.” “You’re the Guardian”, whispers Jacob Mahler. “And a Guardian always has something to guard. I’ve come to get it.’’ Exciting! Mysterious! Cover to cover action packed! The Ring of Fire (written by P.D. Baccalario) is an eccentric, fun filled story that has it all! No matter how you slice it, four children always seem to reach into danger’s grasp! Will these four children be able to save the world or will the ring of fire fall into the wrong hands? “Every hundred years, humankind is put to the test. Every hundred years, four young people must take on an enormous challenge.” Will this hundredth year be the end, or only the beginning? Each character has a personality that brings his or her completely to life. Elettra is an adventurous kind of girl that always solves the hardest of mysteries. Chang is the kind of kid that will agree with just about anything. Minstrel is a shy girl that really has a lot to say once she gets to know you. Last but not least is Harvey who cares for the whole group but does not always show them his true feelings. From the book’s beginning to its end, it always has the twists and turns of a curled snake and yet the ending of a slow gentle slope. This charming story takes place at a hotel in Greece. The four characters meet each other for the very first time at this very place all because of an unorganized record keeper. Or was the mistake not a mistake at all. Either way they all met and while speaking discover that all of their birthdays are all on February 29th. At that moment, there was a bolt of hot red fire and a dark blackout formed throughout half of Greece. Exploring outside, we find our four characters on a bridge that crosses the River Tiber. But wait, what’s this! A weary man is running as fast as he can towards the children. He falls and asks for help but then discovers that there are four of them. He gives them his briefcase and says that he will come back to get it. The next day, the children find that that this strange man was murdered by a man named Jacob Mahler. They look into his briefcase to find an even bigger mystery. A tooth with a letter carved into it, decorated tops, and umbrella, and a wooden box. From what looked like junk at first takes the four kids all over Greece for a legendary object called The Ring of Fire. Will the kids be able to find this legendary object in time, or will it fall into the wrong hands? 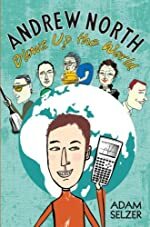 From explosions to collapses to kidnappings this book is sure to be a hit! The Ring of Fire is an action packed thriller and mystery all in one. I have never in my life read a book quite like this one. This book has been one of only a few books to change my feelings throughout the whole story. The Ring of Fire has taught me that not everything in life is exactly what it may at first seem to be. There is not one part of this book that is disappointing. At first, I thought I had the whole story planned out. I was wrong. There is a major twist in the story that really got me hooked into this good read. My favorite part of this book was how P.D. Baccalario was able to have a book that balanced mystery as well as action while having a grand result. For example, he was able to make a mystery about The Ring of Fire while having the murderer Jacob Mahler chase the four kids all over Greece. One part of the book that I found to be most interesting was the center pages. As I was reading the book, I soon discovered that if you followed along with the middle pages as well as the regular page number, you would get more information on a clue of the mystery. For instance, on these center pages there are maps, keys, clues, etc. If you need a little more input of the many interesting objects or clues, all odds point to the center pages for your answer! I would judge The Ring of Fire to be appropriate for 5th to 8th grade readers because there are many uses of weapons that were intended to hurt someone (this may frighten very young readers). For a rating of five stars max, I rate this book all five stars because of its nonstop action and mysterious turns such as the explosion that Jacob Mahler created. This is the first of the four book series and in my opinion is headed to a great start! I plan to read each one as they come out to stores. Every nook and cranny of the book was detailed to its fullest. Whatever P.D Baccalario has up his sleeve for book two, I’m sure it will be phenomenal! Review written by Brandon (6th grade student). We would like to thank Random House for providing a copy of Ring of Fire Century Quartet Book I for this review. Have you read Ring of Fire Century Quartet Book I? How would you rate it? Review: Would you want to have fascinating morphing powers like being able to change your whole body into someone totally different than yourself? Well, in this book there is something exactly like that. The book I read is called The Hunchback Assignments written by Arthur Slade. The main characters of this story are, Mr.Socrates, the leader of a spy team and very mysterious, Modo and Octavia Milkweed who are the two young and skilled spies, Tharpa, the person who takes care of Modo and teaches him fighting and surviving, and finally, Dr. Hyde (Cornelius Hyde) a mad scientist and the villain of the story. Modo is born as a hunchback and is disfigured. He has a very talented and special gift of morphing into someone totally different then himself. When he was a baby, Mr. Socrates adopted him and as he grew up he got taught all these things a normal child wouldn’t learn. One day Mr. Socrates told him he would be doing two different assignments, looking at his own face and going outside. Since Modo is disfigured, Mr. Socrates gives him a mask to wear at all times. He then goes to London, where he is forced to fend for himself, using only what Tharpa has taught him. After learning how to survive on his own for awhile, he is stumped by yet another challenge, stopping Dr. Hyde the mad scientist and saving the world. Will he save it, or will the mad scientist destroy everything? Read the rest of the story to find out. We would like to thank Random House for providing a copy of The Hunchback Assignments for this review. 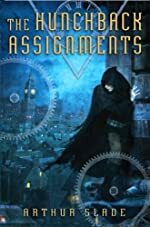 Have you read The Hunchback Assignments? How would you rate it? 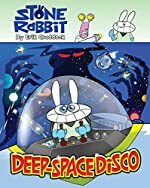 Review: The days of the cute cuddly bunnies are over in Erik Craddock’s 3rd installment in the Stone Rabbit graphic series entitled Deep-Space Disco. In the beginning of the story Stone Rabbit is arguing with his friends about a video game. When he gives up on his quest to prove his friend is a cheat, Stone Rabbit storms away only to come face-to-face with a Stone Rabbit imposter. Stone Rabbit is sent to another galaxy while the imposter assumes his identity in hopes of destroying the earth. Stone Rabbit must find a way to escape from the galaxy leaders who think he’s an escaped felon and get back to earth in time to save the day. Deep-Space Disco is an action adventure that is perfect for the reluctant early reader. Although the plot is very simplistic and predictable, there is still enough fun in the book to capture the attention of young children. The story itself is essentially the same story anyone can find on Cartoon Network about the underdog who saves the world, but it is still a worthy read simply because it is fun and eye-appealing. The book begins with an action scene that is very unclear and then suddenly Stone Rabbit is at a table with his friends arguing about a game. Possibly reading the first two books in the series might clear up this confusion, however, once Stone Rabbit is abducted, the story begins to make more sense. Stone Rabbit has a wry sense of humor that makes the reader root for him from the start. Plus Craddock incorporates some higher-level vocabulary complete with a glossary at the back of the book. But, excellent context clues help to make this book appropriate for younger readers who will enjoy the pictures, fast-paced story, and still learn new vocabulary in the process. Deep-Space Disco is a fun graphic novel ideal for a child - particularly a boy age 7-9. We would like to thank Random House for providing a copy of Deep-Space Disco for this review. Have you read Deep-Space Disco? How would you rate it?